Valentine’s Day is coming up, and that means romance is about to be all around us. Depending on your appetite for love, this may or may not be to your taste, but fear not! I’m bringing a Choose Your Own Adventure spirit to this Valentine’s Day recommendation post. Think of yourself as Goldilocks and these books as three bowls of porridge, and find the one that best suits your taste. A sci-fi romantic comedy of epic proportions, this book follows Briddey, a young woman in the near future. She’s delighted when her boyfriend, Trent, hinting about an upcoming marriage proposal, asks her to undergo a procedure implanting a device that will bring them closer. Called an EED, it enables couples to feel one another’s emotions, which facilitates communication and closeness. But when Briddey wakes up after the procedure, she finds herself with a connection she didn’t anticipate. Sparkling wit, steamy chemistry, and high-stakes adventure follow. I couldn’t put down this fizzy dream of a novel, which captured everything I love about romance. Strong characters, funny interactions, and warmth suffuse the quirky, unique environment of this book. Gillian Flynn said of her famous bad-marriage story Gone Girl that she wanted couples who saw the movie to leave the theater and decide not to get married after all. Meg Wolitzer hasn’t mentioned having a similar goal, but this novel about a decades-long partnership does call into question the desirability of marriage. Joan and Joseph Castleman have been married for forty years when she decides to leave him. They’re on board a plane to Helsinki, where acclaimed novelist Joseph is set to receive a prestigious literary award. But Joseph’s success has come at the cost of his wife’s, and Joan no longer wishes to live her life in support of his. The novel then explores the history of their marriage, from beginning to breaking point– including the shocking secret they’ve kept from the world. 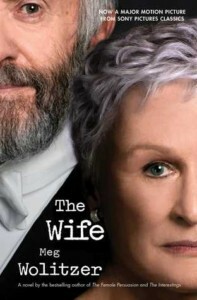 The recent film adaptation, starring Glenn Close and Jonathan Pryce, is generating Oscar buzz this awards season. 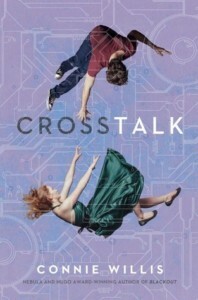 To close, I’d like to talk about a book that straddles the line between a romance story and the dissection of a marriage. Georgie McCool knows she and her husband Neal still love each other, but by now that love seems beside the point. But even with the marriage in trouble, when Georgie cancels her plans to travel to her in-laws for Christmas to deal with a work conflict, she doesn’t expect her husband to take the kids and go without her. 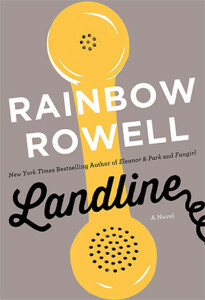 In the midst of Georgie’s turmoil comes a magic telephone that allows her to communicate with a past version of Neal. Could this save her marriage? Or would she and Neal have been better off if they’d never married in the first place? Tender, intriguing, and complex, this novel plays with the true meaning of commitment.